I needed help with corroborating that the code I provided is indeed correct because in the Youtube link I provided a more sophisticated setup was used successfully without the need of the temperature control. IoT Fan Control Here I am with another IoT-based home automation project; Arduino IoT Fan Control. The idea is to allow devices in your home, office, and environment to talk to each other. 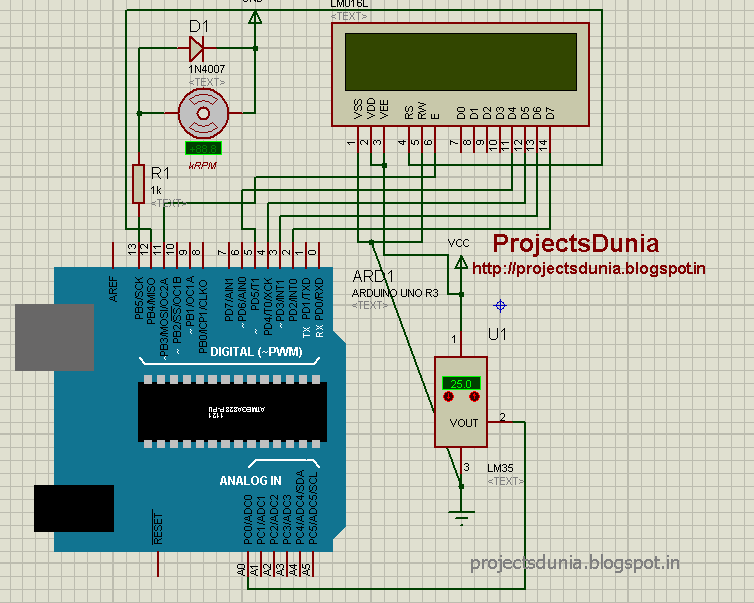 This blog is into Arduino and electronics for Beginners from Malaysia. The controller is mounted underneath the optical drive which is under the motherboard, and so can't even be seen with a flashlight. . For temperatures, I've used a lot of different methods. Place the pushbutton on the breadboard and connect one end to the 5V. Goals To design this I used both the Arduino Nano V3 and an inexpensive Nano clone. This is a well documented Hitachi chipset, which eases the programming. But any other source that meet the requierements ofthe fan wil do. That is only 20mW on the resistor, but it is 150mW on the transistor. Maybe we will end up with a wholely different solution, or more than one, before we try to implement the problem. 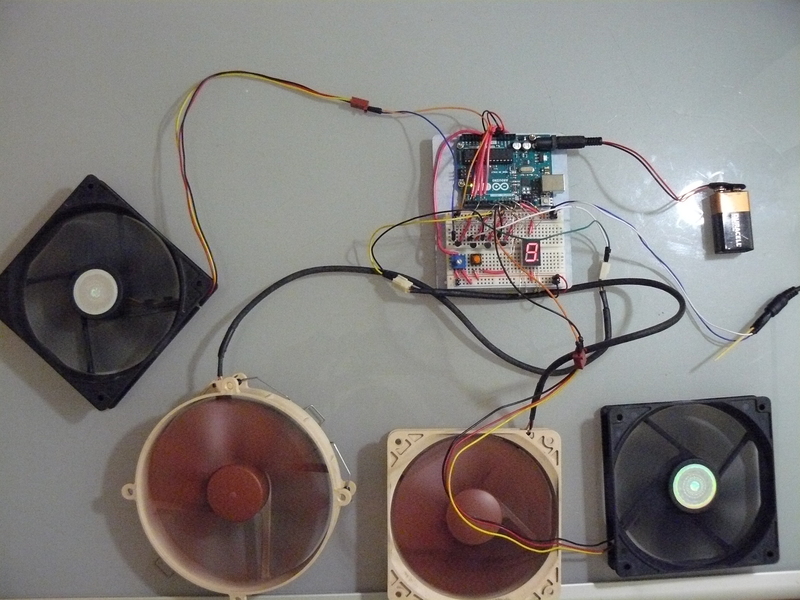 I have initially thought of using multiple 555s, one to make the frequency + one for each fan to control them individually. An equation is a model of your data not the other way around. Ok I was just a little worried about 12v going through the vin, although it states from 7 to 20v. Lets look at a few ideas that could be turned into projects. Then, when the temperature inside the house is warmer than the temperature outside, and warmer than 72 degrees Fahrenheit, we want to open a window in the house and turn on an exhaust fan to draw in cool air. Would the same circuit handle two 120mm fans I think They pull. First make sure you have a common ground. Hi, thanks for all the great info. This is like an outline of the code to show what it will do not how to do the operation. 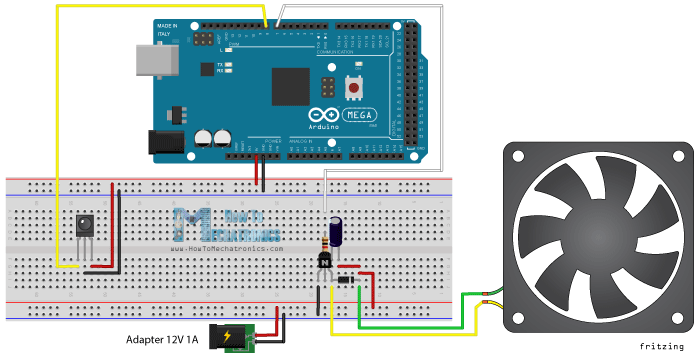 The Arduino should regulate the voltage for itself and pass the voltage through to Vin. 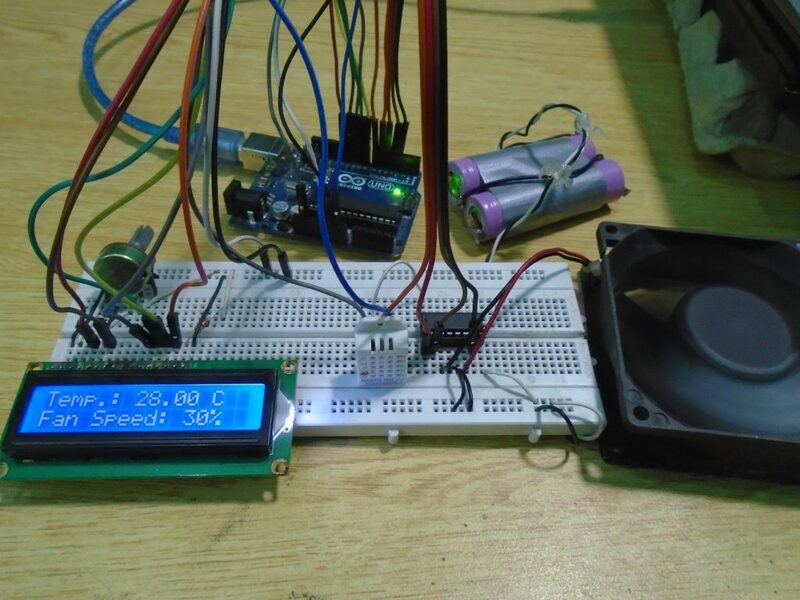 To cool the area the fan has to run fast enough to drop the temperature. Hardware: You can grab the file for this. With 2 x 80mm DeepCool fans I run 0. I think I know why so many controllers have trouble with different fan loads. Two thing that may be helpful. The motor current goes through it, so you could have as much as 0. A push button also allows for manual control of the fans. Are you interested in helping me out to create the technical backbone for my project? So I've been working on this all night and I think part of my problem is coming from lack of documentation on part of the relay I'm using. There is one thing, you need to learn about air flow. Anyway, yes your assertion is correct! It is a pot adjustment on the board - one for each channel. This controller does not cool better - it uses the minimum amount of fan to maintain the airflow within the set range in the controlled area. Also, you can check this blog to know about the usage of all the Arduino functions related to the IoT shield. So before we try to build somethins lets list our assumptions. It also accommodates two fans on one port. You're allowed to use more than 3 letters in your variable names. It makes it so much easier to read and there's no penalty except a bit more typing. I think I have a good idea on how to control the relay. You need a Y-cable to connect two fans. I'm already able to control the blade speed, blade height, and blade contact force via the computer using a couple of servo motors and a force sensor. How and where do I place the heatsink? The print command you are asking about is a scaling constant. The main parameters are programmable using this app. I have not run it, nor debugged it. As you can see in the below illustration, if there is a low to high transition on pin A and pin B is low, then the wheel must be spinning counterclockwise left in the diagram.